Disability champion Rhonda Galbally, AO, reflects on changing attitudes to disability, the push for mainstream inclusion and the National Disability Insurance Scheme, in this extract taken from the Brotherhood of St Laurence's annual Sambell Oration. Disability champion Rhonda Galbally, AO, reflects on changing attitudes to disability, the push for mainstream inclusion and the National Disability Insurance Scheme, in this extract taken from the Brotherhood of St Laurence’s annual Sambell Oration. The National Disability Insurance Scheme (NDIS) is undoubtedly one of the biggest social policy reforms Australia has ever seen – a once-in-a-generation reform alongside Medicare and national superannuation. In delivering the Sambell Oration, I’m going to explore where we have come from to achieve this profound change and the journey it took to get here. I hope that this reflection will make it possible to understand the genesis of competing agendas that still impact on the NDIS to this day. People become disabled from many causes: from accidents – road, sporting, working, playing – and going about day-to-day living in a house, on a footpath, in a hospital. And people become disabled from being born… So like being born, getting old and dying, disability is part of life. Disability, like sickness, is universal – and like Medicare, the NDIS is a universal scheme that covers every Australian under 65 no matter what the cause of their disability. For those like me, who were over 65 before the NDIS commenced, the aged care system takes over. But for those aged 13 months – the age I was when I became disabled – only 4 per cent are disabled. I became disabled in 1949 – just toddling enough to fly down the footpath into my dad’s arms as soon as I heard the gate creak signaling his return from work. I had only a couple of words at that age and one of them was ‘Daddy’: a word I would shriek with excitement at the sound of him out the front. Polio was stalking our neighbourhood: a couple of other kids in the street were struck down with what was then seen as a precursor to the grim reaper. Later, the image in my mind was of a skull-like figure haphazardly knocking down first the Hope children down the road and then, some weeks later, me. My own story is one of finally, at age three, being released from a series of acute and rehab hospitals into the arms of my grieving family. They grieved for the loss of their bubbly little toddler, who was replaced in 1952 by a traumatised three year old, spread-eagled in a double Thomas splint. After my return home, mum bravely fought very hard to keep me there, even though it was strongly recommended to her that I move from hospital straight to an institution so that my disability could be ‘worked’ on. Mum adamantly refused…Mum did however succumb to some of the pressure, allowing physios to visit me at home. One of my earliest memories of that time was of flinging myself off the kitchen table and breaking my leg as the physio tried to stretch and exercise my misshapen body. I wanted to be off the table, away from the physio and out with the neighbourhood kids. Because by then, with tacit family agreement, I did not see myself as disabled at all and my highest aspiration was to be part of the neighbourhood rabble. While I invested a lot of me in pretending that I was a “normal” with very strong denial of my own disability, by the time I was a young woman I consciously began to “know”. The group that was responsible for me ‘knowing’ was the Vietnam vets in the United States – the country of the birth of liberation rights movements: black, women, gay, civil rights, youth and disability. And a few years later these rights movements flowed down to Australia. It was an exciting time to be a young woman. I learned that in the USA the disabled Vietnam vets – adults who were used to being part of society – were refusing to accept the discrimination, the exclusion and the terrible treatment that people with disabilities had accepted as the norm until then. The vets joined forces with a group of polio activists, led by Ed Roberts, who had, like me, been brought up in mainstream society. Together they started the Independent Living Movement. I remember seeing Tom Cruise in Oliver Stone’s Born on the Fourth of July: a strong film about the Vietnam vets demanding an equal life and refusing to be locked away in institutions. They were activists fighting for disability rights – to live independently in the community, go to ordinary schools and universities and be taught well, get jobs and be an equal part of American society. In Australia in the late seventies, a parallel movement began. I was not a part of its early days: remember that I was at that stage strongly denying my disability and certainly not identifying as disabled, so I was fighting for the rights of many different groups, but not people with disabilities. That is, until I was profoundly challenged. It was the early 1980s and I was a rather arrogant young policy officer for the Victorian Council of Social Services. I was busy working on a housing policy for the disadvantaged that included people with disabilities. My workplace was down the road from our beloved brother organisation, the Brotherhood of St Laurence: beloved because, among other things, it had incubated the Tenants Union of Victoria, the Community Child Care Association, and the Ecumenical Migration Centre. The phone rang and a slurred voice asked me what I thought I was doing. “Writing a housing policy,” I blithely responded. I discovered that the owner of the slurred voice was Hal Fitzpatrick and he had had a stroke, and that “us” was a feisty group of people with all kinds of disabilities including, among others, Geoff Bell, Roger Melnyk, Rob McNamara, Fiona Smith, Vicki Aitken, Leslie Hall, Tricia Maloney, Eddie Ryan, John Pullicino. They were my earliest memories of the members of the disability rights movement in Australia, trying to fight for reforms similar to the USA. We saw the very institutions that my mum had saved me from as the symbol of all that was wrong with disability, with people locked away from society, out of sight and out of mind. Deinstitutionalisation became our main aim and we certainly were responsible for reducing the number of institutions in Australia. We celebrated as a major win the replacement of institutions with community residential units or group homes. Because they only had six to eight residents, we thought this was a vast improvement on 300 or even 60. One of my first tasks in 1983 as CEO of the Myer Foundation and Sidney Myer Fund was to oversee a grant for the first group home in Australia initiated by Nancy Black and Carrillo Gantner for their daughter Cassie. It was seen as revolutionary to have a homely place for Cassie with a small group of other disabled people. It was very dismaying to realise several year later that group homes can also fast become institutional, providing no tenancy rights or choice over who you live with, how you spend your day, what you eat and for most residents seeing no non-disabled people except paid workers. Many of us, however, turned our attention away from these closed segregated service models to concentrate on mainstream inclusion, and the 1980s saw the introduction of integrated education. The 1990s saw the beginnings of accessible transport and accessible government buildings. There were flurries around inclusive playgroups and childcare. But basically getting governments to mandate the move towards inclusive mainstream systems and infrastructure was piecemeal and painful – one step forward and two back. The situation was desperate and families bore the impact. Either they provided care, or none was provided. Many families simply could not keep going. In the nineties, families came together to form the carer movement, and the carers started to campaign strongly and loudly. They saw disability largely from a burden perspective, with family members with disabilities as the burdens. This characterisation was understandable because that was the actual experience of many families, but it alienated the networks of people with disabilities fighting for rights. During the second half of the 1990s and into the 21st century people with disabilities saw the carer movement become well-funded and influential, while the fight for disability rights by people with disabilities organisations seriously faltered, partly because of lack of funding, which reinforced their lack of influence. And while at that stage carers and people with disabilities groups were at war with each other over the issue of burden versus rights, services were relatively unchallenged and so were their models of care. However, the growing clamour from carers bore fruit. The idea for national disability insurance scheme had been around since 1975. Accepted too late by the Whitlam government in its last days, the Woodhouse report recommended a no-fault disability insurance scheme for all disabilities. In the 1980s and 1990s the NSW Lifetime Care and Support Scheme and Victorian Transport Accident Compensation Scheme were established for people with disabilities arising from motor vehicle accidents. But it was in response to carer pressure for something to be provided for their loved ones that the impetus for the NDIS emerged in 2008. It is important to recognise that this 2008 push for the NDIS largely reflected carers’ demands for services, as this meant that the NDIS was, from the outset, based on the vision for a significant expansion of disability services. The vision for the NDIS to be based on the strong principles of disability rights and citizenship came later. Once the idea for the NDIS was floated, there were the three vitally interested parties – carers, people with disabilities and service providers – all with different expectations of an NDIS. Carers saw an NDIS as bringing much-needed relief, and many still saw relief as “safe”, all-encompassing specialist disability services, similar in many ways to those created by parents in the early 1950s. However, as was also the case in the fifties, there was a smaller group, often of younger families, that wanted an NDIS to support their loved ones to become part of the community: in schools, recreation, homes and jobs alongside everyone else. Despite these different hopes and expectations for the NDIS, we did somehow manage to build the alliance between the three parts of the disability sector: carers, service providers and people with disabilities. And this alliance – the National Disability and Carer Alliance, where everyone worked together for the NDIS – became strong enough to fuel the successful campaign for the NDIS: the Every Australian Counts Campaign. This campaign led to massive community mobilisation, which in turn led to almost unheard of bipartisan support for the National Disability Insurance Scheme Act 2013 (Cth). However, looking back on the Alliance, it really is a miracle that it came together considering the very different views, from the different interests represented, of what the NDIS would bring. Apart from facilitating the building of the alliance, my second main role in the early development of the NDIS was as chair of the largest government council in Australia I had ever seen, much less chaired – and it had the longest name ever, too. 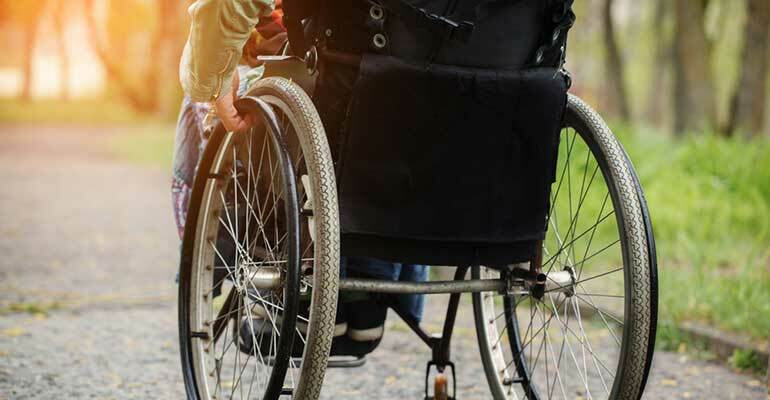 Twenty-eight members strong, the National People with Disabilities and Carers Council (NPDCC) advised the Australian Government on all things to do with disability, including the NDIS as it emerged. The council’s membership reflected the alliance: people with disabilities, carers and services, with the addition of a couple of trade union and business leaders. Together, we nutted out many issues that are still central to the NDIS. The issues negotiated by the National People with Disabilities and Carer Council from 2008 to 2013 focused on how to make Australia truly accessible and inclusive. The council produced the report Shut Out that analysed the barriers and developed a blueprint for people with disabilities to be able to become truly part of Australian society. The result of the Shut Out report was the National Disability Strategy, and the council saw the NDIS with its packages for individuals as an important part of the puzzle that was about people with disabilities being enabled to become part of the world – but it was only ever seen as a part of that puzzle. The Council of Australian Governments accepted the National Disability Strategy as a COAG strategy in 2012 to reform all systems to ensure the inclusion of people with disabilities. We saw this as a huge victory, believing that the National Disability Strategy would in itself reduce the impact of the disability. Within this context, the NDIS was then seen as providing the person with an individual package to give them what would be needed to bridge the gap between a disabled life and an ordinary life. It was never envisaged that these individual packages provided by the NDIS would be given in a vacuum of an inaccessible, non-inclusive Australia. The fact that the National Disability Strategy has dropped off the radar has serious implications for the NDIS. It has loaded up the NDIS with either inadvertently taking on the impossible responsibility for ensuring that all systems become accessible and inclusive (impossible because the National Disability Insurance Agency does not have the authority or the resources), or the more likely scenario to emerge by default in the absence of an active National Disability Strategy: to have the NDIS overseeing the vast expansion of closed segregated services as the solution to a non-inclusive outside world. In fact, the impetus to expand specialist disability services is strong. This is what governments naturally focus on because they are concerned that there will not be enough group home accommodation, day programs, sheltered employment places, respite beds and personal support workers. How do we build this strong demand for something different? People don’t change their vision of what is possible overnight. One systematic answer is to leverage off people with disability and family peer support groups: groups where people share information, strategies, and ideas to gain a deep understanding of, and to try, approaches that lead toward an ordinary life. These groups are made up of people who have personal lived experience and are struggling with the same issues, and are experimenting with new approaches. These are the groups where members give each other courage and support to have a go. They have unique knowledge that is vitally important about what works and what doesn’t and how individuals and families can dare to try new ways. These are the groups that could be brought into an Australia-wide network to support market demand for innovation. Because of the urgent need to stimulate market demand for new types of supports that generate independence, community inclusion and self-management, I have been strongly supportive of the Productivity Commission’s recommendation about the need for a comprehensive network of peer support groups to become Disability Support Organisations. These could be face-to-face and online, diagnostic, population, special concern, geographically easy-to-reach groups – groups for all issues and needs. But it is important not to be romantic about the capacity of these groups considering that they must become strong enough to build innovative demand and at the same time to effectively argue that every sector and system needs to become inclusive. This requires concerted sophisticated pressure similar to that applied by the Vietnam vets in the 1960s in the USA. Pressure needs to be applied to every level of government to address the barriers that shut people out of society. This is a big ask of groups that have been now relegated to the outer circle of influence, even though it could be argued that they ought to be central – not only to the NDIS, but also to the reinvigoration and re-launching of the National Disability Strategy. Remember that these are the same groups that exist on the smell of an oily rag, which punched miles above their weight in the campaign for, and the early design of, the NDIS. Perhaps their huge contribution in those early years left a false impression that they were strong enough to continue to exist without resources and at the same time make the important contribution to the development of the demand side of the market. A top priority is therefore building the capacity of peer support organisations at the local community level, as well as at the state and national levels. All their functions need strengthening: financial, governance, organisational and policy. So while logistics, IT and numbers are the painful and extremely important reality of day-to-day challenges for now, and no doubt over the next three transition years at least, at the same time there are other critical issues. And these have their genesis in the history of disability policy from the 1950s and the different hopes and dreams leading up to the NDIS. The NDIS captured the imagination of every stakeholder in the disability sector – families, people with disabilities and services. Everyone was united in campaigning for Every Australian to Count. Yet at the heart of the campaign there was always an unresolved issue. From the late forties when I became disabled to the present day, there has been a struggle over people with disabilities: do they belong in the world or not? The 1950s approach that is still alive today is one in which people with disabilities are out of sight and out of mind: away from the world, leading lives dominated by disability; living, but not living. The 1950s also saw the beginnings of the alternative that benefited me – the struggle to ensure that people with disabilities fully participate in their society. This approach has now become predominant in most developed countries and is also reflected in the United Nations Convention on the Rights of People with Disabilities. The alternative – treating people with disabilities as best kept with their own kind, away from the world – also allows those in the wider society to not face their own frailties, including the inevitability of disability and death. But the outcome of this struggle must be that the NDIS supports people to live their lives as citizens, enabled to become playmates, schoolmates, workmates: out there everywhere with their mates, leading ordinary lives. This must become what it is to be disabled in Australia in the twenty-first century. About the author: Rhonda Galbally AO was a key leader in the campaign to establish the National Disability Insurance Scheme (NDIS). 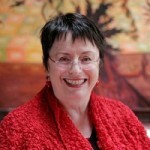 Now she is a member of the NDIS board and principal member (chair) of the NDIS Independent Advisory Council. A CEO and board member for 30 years in business, the public sector and philanthropy, she led the development of cutting edge organisations such as the Victorian Health Promotion Foundation and the social enterprise Our Community. The Sambell Oration has been delivered each year since 1981. Named after former Brotherhood of St Laurence executive director, Geoffrey Sambell, the event reflects his concern for social justice and provides a forum for community leaders to discuss social issues.